At age 50, Peter announces his desire to exchange his well-established engineering career for a career as a fine artist. 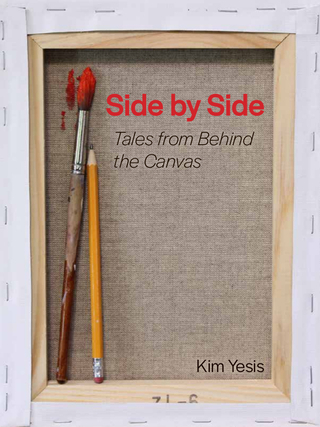 Side by Side is the story of Peter’s transformation, his wife, Kim’s introduction to the world of art and the expansion of their 30-year marriage into an artful partnership - with an unexpected sideline for Kim. Available via the link below. Also available at Amazon in paperback or KINDLE format. To view artwork mentioned in Side by Side, go to Peter Yesis Art. TO PAY BY CREDIT CARD, click on Add to Cart tab, below, and select the Check Out tab on the next screen.